The 1989 massacre at Tiananmen Square was one of the most heart-wrenching displays of state suppression of peaceful assembly in recent history. Following the death of pro-reform Communist leader Hu Yaobang in April 1989, thousands of Chinese students gathered in Beijing’s Tiananmen Square to march in his memory. Within days the gathering had transformed into a mass demonstration against corruption in the government, with calls for democratic reforms. The students were joined by civil workers, intellectuals, and public servants; at the height of the protests, up to a million people assembled in the Square. By mid-May protests had spread to 400 cities. After several failed negotiations to persuade the protesters to leave, the government resolved to use force. 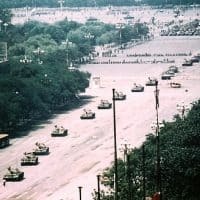 Soldiers and tanks from the People’s Liberation Army were deployed to take control of Beijing and clear Tiananmen Square on June 3-4. The PLA opened fire on the crowds, killing hundreds to thousands of civilians. The exact number is unknown because the Chinese government has never released official death toll figures or allowed outside investigations. James R. Lilley was the U.S. 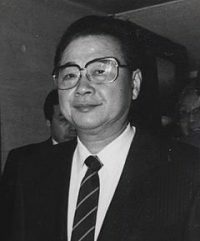 Ambassador to China from 1989-91. He discusses the run-up to the protests, the military crackdown, the attack on the diplomatic compound, the struggle to evacuate American citizens, and Washington’s efforts to salvage bilateral relations. You can read the Washington perspective from Assistant Secretary Richard Solomon and Congressman Stephen Solarz and from other Embassy Beijing staffers. Read about dissident Fang Lizhi and the ill-fated banquet months earlier. Go here for other Moments on China. LILLEY: By April 1989, it was clear that something was happening in China….I remember going to the Metropolitan Club in Washington with Win Lord [Ambassador to China from 1985-89] one night. We were watching TV, which was on. There were all of these people in Tiananmen Square. After I got to Beijing, I learned that Gorbachev’s position was weak. The position of Zhao Ziyang, who was Secretary General of the Communist Party of China at the time, was also weak. He had been known as a “big reformer” of the party. So there was a different formula involved. All of the major media figures, including Bernard Shaw [of CNN], Peter Jennings [of ABC], Tom Brokaw [of NBC], and Dan Rather [of CBS] were all coming over to cover this Sino-Soviet summit meeting. All of them were coming over to cover the Sino-Soviet summit meeting, but it turned out that “THE story” at the time wasn’t the summit meeting. It was the 200,000 or so people demonstrating for democracy in Tiananmen Square in Beijing. These senior journalists sensed that very quickly, because Gorbachev couldn’t even get in the front door of the Great Hall of the People. He was blocked by the mass of demonstrators. The major story was clearly the demonstration against the Chinese Government. 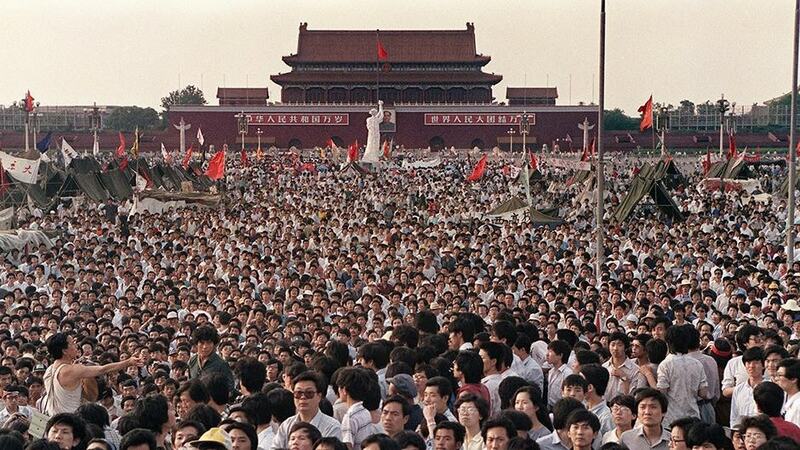 So, when I went to Shanghai in the middle of May 1989, the demonstrations in Beijing were becoming progressively larger. The Gorbachev visit was not turning out to be worth very much to either the Chinese or the Soviets…. “Not so,” said Zhao Ziyang, “You’re running the whole show.” It was said that that was Zhao’s death knell. He was through at that point. 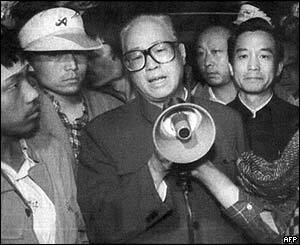 Also, Zhao Ziyang was supporting the “reformers” in the Communist Party of China, who were in touch with the demonstrators. The reformers included Bao Tong and Yan Ming-fu. All of these people were with Zhao Ziyang and were his inner circle, as it were. They were sympathetic to the demonstrators. Representatives of the demonstrators then went to see Li Peng (pictured), the Premier. They felt Li Peng was arrogant and difficult. The Chinese students were viscerally against him. Wuerh Kaixi got up and publicly attacked Li Peng. You could see the temper of the demonstrators rising against the Chinese Government officials and vice versa. First of all, we opened up one of those telephone lines to the State Department in Washington which were open continuously, 24 hours a day. We just kept this line open all the time to talk to the Department. So when I went out of the Embassy, I saw all of these big processions all around Beijing, marching on the occasion of the celebration of the anniversary of the “May 4 Movement.” When my car went by these demonstrators with the American flag flying, this is when I saw the demonstrators making the “V for Victory” sign with their hands. The demonstrators obviously felt an emotional attachment to the United States. Later, I put on old clothes, went down to Tiananmen Square, and talked to people I met in the square. I didn’t tell them that I was the American Ambassador, but just an American visiting Beijing. I got the sense of how “passionate” these kids really were about this demonstration. We also had other Embassy staff members talking to people in the Square. We had set up “watch posts” at the Beijing Hotel and in the western and southern part of the city. Jack Leide, the Defense Attache, had done this and provided his people with mobile phones, breaking domestic rules. So we really had a feel for the pulse of the situation. The people in the Consulates contributed to our reporting, particularly the Consulate in Shenyang [formerly Mukden, Manchuria]. They tracked the situation very well. They reported that the various Chinese armies were moving down to Beijing and also reported on the various demonstrations there. There were some very good, young, Chinese-speaking officers in the Consulate General in Shanghai. They got out and learned what the mood was in Shanghai. We also had good intelligence coming in from other sources, which were telling us about the movement of armies from the Wuhan, the Jinay, and the Wu Han Military Regions toward Beijing. We also got some reports of alleged clashes between military people. We would run out and check out these reports. It turned out that these clashes hadn’t happened…. We sensed that there were splits in the central government between the “Liberal Wing” led by Zhao Ziyang and others. We had known for six months that Zhao was on his way out of the government, partially because of inflation. They couldn’t stand for that. Inflation was up around 20 percent. That is a real red flag issue in China, at any time. There were also charges of corruption and nepotism. Zhao (pictured) was struggling. He went up to North Korea. He came back and then made his famous trip to Tiananmen Square, where he wept in front of the students. He seemed to know that he was through. Li Peng was getting ready to push him out of his job as Secretary General…. There were two “crunch issues.” The students had turned back Chinese plainclothes police who had been infiltrated into the student movement to undermine it. These guys were spotted immediately by the students. The students sat down, put flowers in their hair, and said to these police, “Go back home. You’re not needed here.” These guys then turned around and left the square. That was very humiliating for Deng Xiaoping. Then, of course, the big “Liberty Statue” was brought into the square. That seemed to do it. And then some hoodlums threw paint at the picture of Mao Tsetung…. I had been writing daily telegrams to the Department of State, giving my views on the situation. On May 26, 1989, I said that a collision was coming. I reported that Deng Xiaoping was an “Old Testament” man. I said that he was not going to put up with this situation much longer and that he was going to crack down on the demonstrators…. The Chinese leaders tried to send young people to talk to the students. They tried to do a number of things. They sent in plainclothesmen. They asked whether they could get the plainclothesmen to undermine the agitation. However, everything that they tried to do was clumsy and ineffective. There were splits in the top leadership, and they just couldn’t decide on what to do. Members of the Standing Committee of the Politburo were arguing with each other. We knew this. Some of these leaders were saying: “Don’t use force!” Zhao and Qiao Shi were saying this, but they still had difficulties in making a decision. They couldn’t decide until, finally, and almost in a fit of rage, Deng Xiaoping said: “This is the end! Hit them!” He said this on June 3, 1989, one day before the crackdown. We weren’t getting very much on Deng’s attitude. In a crisis like this the Chinese Communists tend to hunker down. They “pull down the screen,” as it were. I couldn’t talk to any senior officials beyond the Foreign Ministry to establish contact with the top leadership. I tried to pass messages to them from President Bush. He wanted to talk to the top leaders on the phone. He wanted to send letters to them. The people in the Foreign Ministry said, “We’ll handle this for you.” There was no way that we could get through…. I made some reference to this in talking to Li Peng, as I recall. Li Peng’s response was: “No responsible government would ever tolerate that kind of disorder in the middle of its capital city.” He said this when I called on him, perhaps two or three weeks before the Tiananmen crackdown. I reported this immediately to Washington…. [We] saw the demonstrations first hand building up. We went back to the embassy and spent the whole night there as events began to break. We got excellent reports from our people in the hotel in western Beijing, where the worst of the killings were taking place. The tanks came in and fired down the street and into the buildings. We had our observers at the Fu Xingmen Hotel. They were watching developments, and we sent their observations right into Washington…. After it happened the major focus was on the evacuation of American citizens and getting them out of China. First, this evacuation was voluntary for our embassy people, and then it was “involuntary.” Then, of course, there was the matter of dissidents who came to the embassy and asked for refuge. That was a major consideration which happened after the events. Then it was a matter of getting the Americans out voluntarily, but few volunteered to leave. 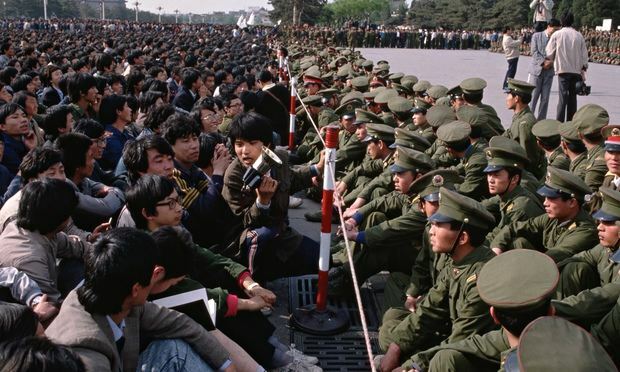 I think that around June 7, 1989, evacuation became mandatory when the Chinese forces fired at the diplomatic compound. [They were] troops of the 38th Army. They were moving down what they called Jianguomenwai [the famous Beijing shopping street] on the east side of the city. As they left, they sprayed bullets at the diplomatic compound. They claimed afterwards that they were trying to get a “sniper” off the top of the roof. Actually, this was a ridiculous claim, and we knew it. At the time that the firing broke out, we were having a meeting. Some of the people in the embassy became quite hysterical. Then a message came in from Washington ordering all dependents to leave Beijing. We also had to go out and try to get the students out of the universities and assemble the dependents of American businessmen and tourists. We began to get them out, and this effort turned into a real mess. The press got on to this story and gave us a very hard time. People complained. This was really a very chaotic period for us. At first, many of the American students didn’t want to leave. We had to send caravans out to get them. Some refused to leave. Then they changed their mind and decided that they wanted to leave after all. It turned out that some of them said that they didn’t have any money. We had to get funds for them. There were all sorts of calls coming in from all over the world, perhaps 2,000 telephone calls a day coming through the main switchboard. Chinese who had been in China for 20 years suddenly decided that they wanted to leave. They said that they were American citizens and showed us their passports. Then they started saying: “I’m taking my grandchildren out.” They were obviously getting their grandchildren into the States, using the riots as an excuse. If we turned them down, they’d go right to an ABC correspondent and say: “That cruel consular officer refused to get us out.” Things were just exploding. We also had people in tourist groups coming into Beijing who wanted to get out of China. The question came up: “Should we charter planes? If we can find planes, will the Chinese allow chartered planes in?” Should we coordinate with the Canadian and other embassies to get these people out? It was a chaotic period. We were aswarm with people all over the embassy office building. There were students camping out and complaining. There were calls coming in from the States with someone asking, “Where’s my son, Johnny? He’s disappeared.” He would turn out to be in a town 50 miles away in the U.S. from where the call was made. And Washington was having meetings. They would get bulletins out and instruct us: “Get these people out right away. It’s essential for us to do this. Get chartered planes in.” The idea was to fill these planes up, and out they would go. Then the Chinese wouldn’t let the chartered planes in. We had to negotiate this matter. We had to get the people into the embassy, arrange for them to get some money, and then get them on the plane. We had to use cars, trucks, and buses. Believe me, it was a chaotic situation. We talked to the authorities about the situation, but our people back in Washington insisted on an evacuation. Eventually, we got everybody out. Not a single American was hurt. Every American got out of China who wanted to get out. However, there was an awful lot of unhappiness. I can tell you that. I think that Washington at a time like this tries to micromanage a situation. They begin to have meetings in Washington. Somebody at one of these meetings wants to know how many planes are available, how many people can be transported on each one, when are they going out, and so forth. Of course, in a chaotic situation, you can’t do that. First we had the embassy set up convoys to go out and pick up people. Finally, Jack Leide, the Defense Attaché, came to me and said, “You know, the civilians can’t handle this evacuation. 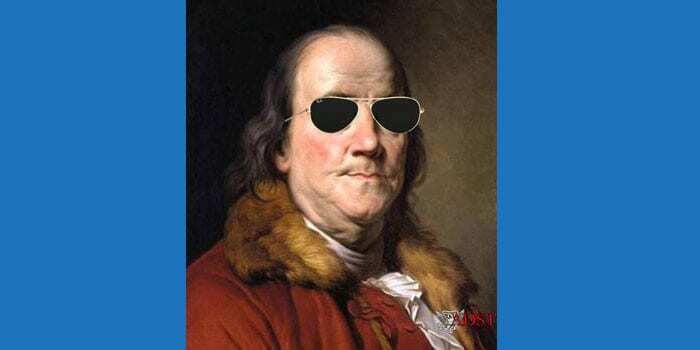 I’ve got colonels who can do it.” I said, “Okay.” I took this job away from the Embassy Officers and gave it to the Military Attaches, and they did a much better job. The Defense Attaché Office had a guy named Larry Wortzel who was a real “street man.” He was down to earth and spoke Chinese well. Actually, he got a tip off from a Chinese contact that the Chinese Army was going to begin firing at the Diplomatic Compound. We got some people out ahead of it. The word wasn’t gotten out in time to get more people out. Bullets came ricocheting through my old apartment on the seventh floor. There were two small kids in the apartment. The amah [nanny] threw them on the floor to protect them, and the bullets barely missed them…. I think that this firing was a calculated move. The Chinese had an old expression: “Guan men da gou” [“close the door and beat the dog”]. They wanted to get the foreigners out of the diplomatic compound to the extent possible so that they could straighten this situation out in their own way. They pulled the plug on the CNN correspondents, they wanted all of the foreign correspondents to leave, and they beat up some of them and threw them in jail. They wanted to handle this situation their way and to lower the foreign presence. I was quite sure that this decision was coming from higher authorities. Q: What about the Chinese dissidents? In particular those who were seeking asylum. LILLEY: Well, Fang Lizhi was the only one who did this. I think that one other dissident tried to get into the embassy, but we talked him out of it. As you know, an embassy is supposed to take these people in and say to them: “Seeking refuge from us is not the answer to your problem. If you do this, it will complicate our relationship with you and your country.” We are obliged by Foreign Service Regulations to make that explanation to an asylum seeker. However, in the case of Fang, we initially convinced him to leave the embassy. He went to the Jianguo Hotel, with, I believe, the Time Magazine correspondent and a U.S. college professor. We reported this and then were given instructions from Washington to go out and bring Fang and his wife back into the embassy…. I think that as time went on it began to look more and more serious, in terms of the way the situation was being handled by the media and Congress in the United States. There were strong condemnations of Beijing’s attitude. We reported on the number of deaths. We had very good reporting officers in Tiananmen Square. Jim Huskey, for instance, visited the hospitals and made the initial casualty assessments. Other people talked with Chinese to find out what was happening. It looked as if it was going to be a bad, bad show. The initial official denials by the Beijing authorities were transparently false. The Chinese attitude of hunkering down, refusing to see anybody, and being obstructive to our efforts to get things done were matters of concern. The authorities became hostile. They claimed that this was a bad rap on them. You could see the situation building up. Then, of course, what really began to tilt the situation is that they put some of these kids on television. The police had shaved their heads and tied their hands and arms behind their backs. They appeared to be in the course of being led off to execution. Oh, boy, that played right into this hostility against the Chinese government. I think that was one of the things that inspired the original trip to China by National Security Adviser Brent Scowcroft, because President Bush felt that he couldn’t sustain the Chinese-American relationship if the Chinese kept doing these things…. I went back to the States around this time. I was called back and instructed to make it a secret trip. I did as well as I could to make this trip secret, having been trained in that sort of thing. I sort of got away with it. I said that I was going to see my wife, who had been evacuated, along with all of the other dependents. I think that she left Beijing on June 9, 1989, and went up to South Korea. That was my cover story, but I flew to Washington. I was called to the White House and told, “If the Chinese authorities don’t do something about this, we don’t think that we can save the Chinese-American relationship. We’re going to send Brent Scowcroft (pictured) over, along with Ambassador Larry Eagleburger.” Eagleburger never liked this idea. I give him credit for this. He didn’t like it. 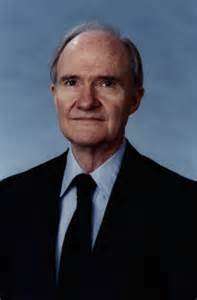 Eagleburger talked to Brent Scowcroft and thought that he should use his own judgment. Secretary of State James Baker stood aside. Baker saw this situation as a real turkey. He thought that it was going to turn nasty and he was right. There was a meeting in the Oval Office of the President, which I joined shortly after I arrived in Washington. Q: Did Scowcroft’s meeting with Deng Xiaoping have any effect? LILLEY: I think that the Chinese started to handle this matter more quietly. They began to move back and avoided being as publicly vindictive against these students as they had been. Meanwhile, a lot of the student leadership had disappeared from sight. The Australians had somebody in their embassy, seeking asylum. This never leaked to the press. By contrast, [President Bush’s press spokesman] Marlin Fitzwater spoke publicly about the application of Fang for refuge at the American Embassy in Beijing, at a press conference two days after Fang had entered the embassy. Then it all came out. The Chinese government claimed that I was harboring a criminal, violating Chinese law, interfering in Chinese internal affairs, and all of that sort of thing. 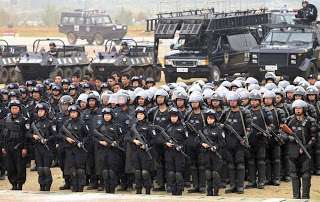 Somewhat later, we got a hint that the Chinese might enter the embassy and arrest Fang using a SWAT [Special Weapons and Tactics] team. We made a demarche in Washington right away, saying that if they did this, that would be it as far as Chinese-American relations were concerned. I think that by this time we began to get more control over the situation. We had evacuated our women and children. We were presenting demarches on stopping the public executions and insisting that they send in no SWAT teams to the American embassy. We made it clear that we weren’t going to turn Fang back to the Chinese, because he was on their black list and they might shoot him…. In the Chinese Government, some were arrested, and some of them fled. Zhao was placed under house arrest. 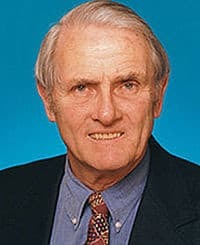 Otherwise, the same team was in office: the same President, the same Premier, the same Vice Premiers, the same Foreign Minister, the same guy behind the scenes, Deng Xiaoping. We were dealing essentially with the same team, except that Zhao and his group were gone. Q: Was any thought given to withdrawing you as Ambassador to China? Some Members of Congress from the Democratic Party were using this issue to bash President Bush with. The phrase commonly used was: “Send them a signal” by withdrawing our ambassador. President Bush made it clear that he wasn’t going to do that. We had imposed sanctions on China, including freezing military relationships, halting sales of military equipment. OPIC [Overseas Private Investment Corporation] and TDP [Trade Development Program] funds were frozen. High level visits were stopped. We prevented China from getting any loans from international financial institutions. That was something that really hurt them. That was one of the major bones of contention with China. It was part of the bargain involved in lifting martial law, granting amnesty, and getting Fang out of China. We made it clear that we would gradually support the “Third Yen Loan” package between China and Japan, which was just coming up during the summer of 1990, and a gradual lifting of our opposition to the granting of World Bank loans to China for humanitarian reasons. That was the greatest leverage we had on China, it turned out…. I think that the move toward the Chinese was probably made in December 1989, when Brent Scowcroft and Larry Eagleburger came out to Beijing. Larry laid out a road map in terms of what we needed from the Chinese and what we were prepared to do. It was a very sensible road map. I think that the Chinese took that on board and, basically, it worked. We made it clear that we would gradually lift our objections to the extension of international financial institution loans. At the same time, the Japanese would proceed on the Third Yen Loan package, which was a separate matter. We said that we would look into some kind of restoration of the Chinese-American military relationship. They, in turn, would release several hundred prisoners, they would release Fang, and they would lift martial law in Beijing and Tibet, all of which they did.